To get top-dollar for a high-end home, it’s important to present it in its most luxurious light. To discerning buyers, every detail matters – inside and out. Design by KETI makes sure that from every angle, your home’s interior design reflects the high value of your home and neighborhood. It starts with building a profile of your ideal buyer and his or her tastes and lifestyle, also taking into consideration your home’s price point and information about comparable home values in your neighborhood. Then, we combine furnishings with the perfect mix of textures, colors, and luxurious accessories to build layer upon layer of sumptuous design within your home, making your target buyers feel right at home. If you’re living in your home while it’s on the market, we carefully curate your own furnishings and accessories to match your optimal buyers’ preferences. Then, we build on this foundation to achieve the desired ambiance, supplementing with pieces from our own inventory to create a stylish, yet livable home that will attract both Realtors and affluent home shoppers. If your home is vacant, we will handle every aspect of creating a warm, welcoming, high-end interior. From choosing from our own inventory of main furniture pieces that best fit the style and the finish-outs of your home to accessorizing with our own inventory of furnishings, textiles, artwork, lighting and décor, we create your target buyers’ dream interior and make them feel right at home. 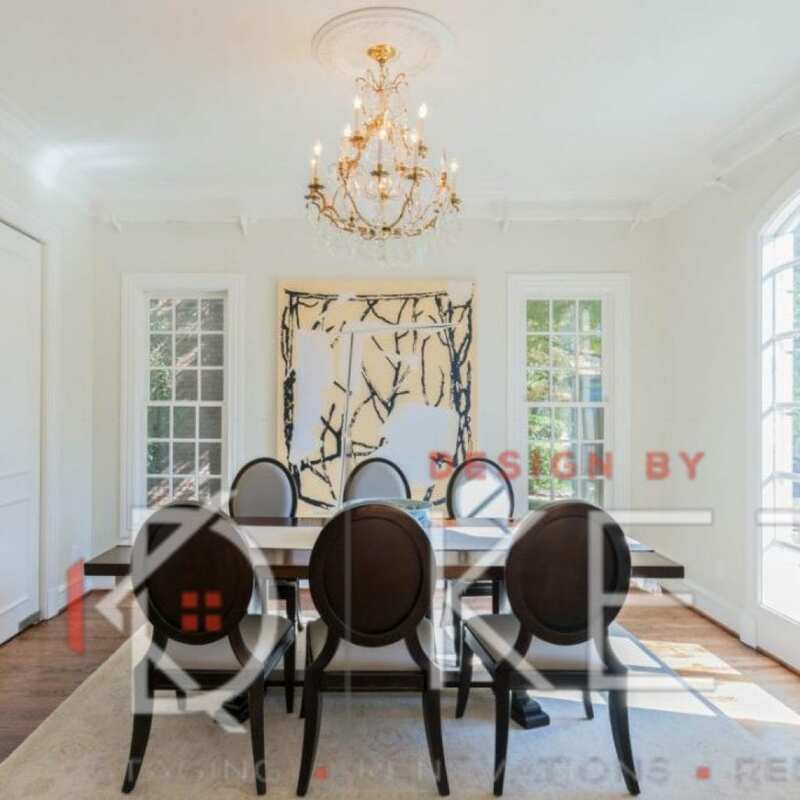 Our mastery of luxury staging has made Design by KETI a highly sought-after home staging resource for Realtors and sellers in luxury neighborhoods across the DFW metroplex. If you’re ready to sell your home, we would be honored to assist you.